As a professional detailer, it’s awesome when someone calls up and has a request for us to detail multiple vehicles. This time around we got two completely different beasts from the same guy. 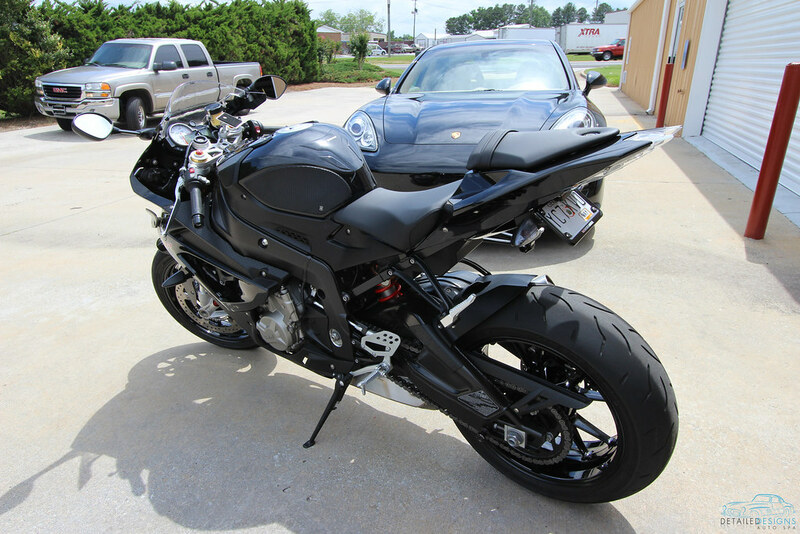 The owner’s priority was to have his track bike and bike hauler detailed during the same visit. 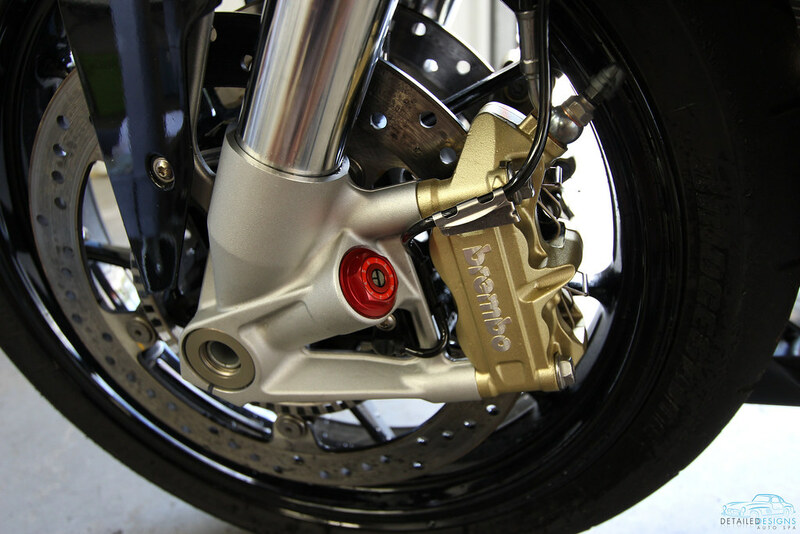 We were delighted to work on such a beautiful motorcycle that truly needed it! 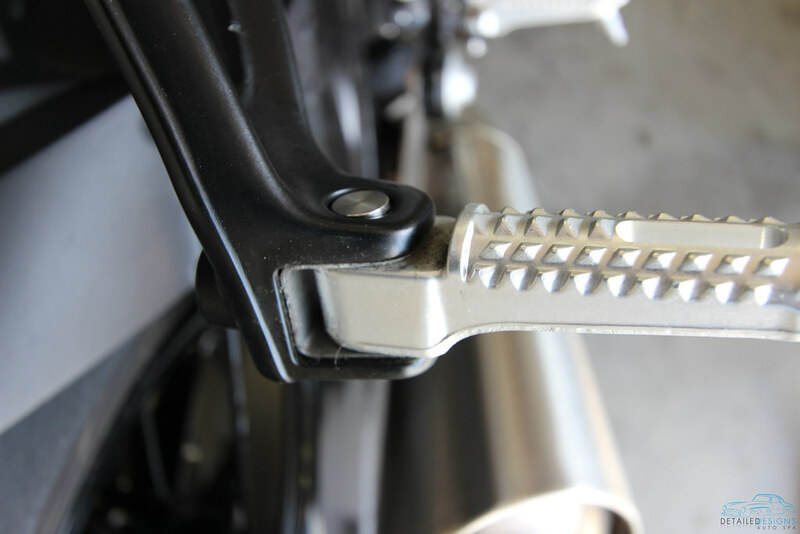 Motorcycles have their own difficulties when being detailed. 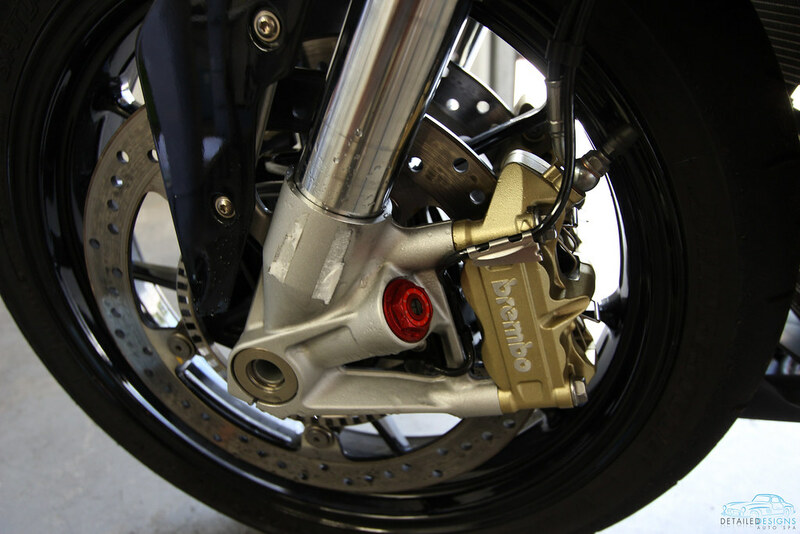 They have a lot of tight areas that tend to be covered in gnarly filth and many different materials throughout the bike requiring different products and processes. 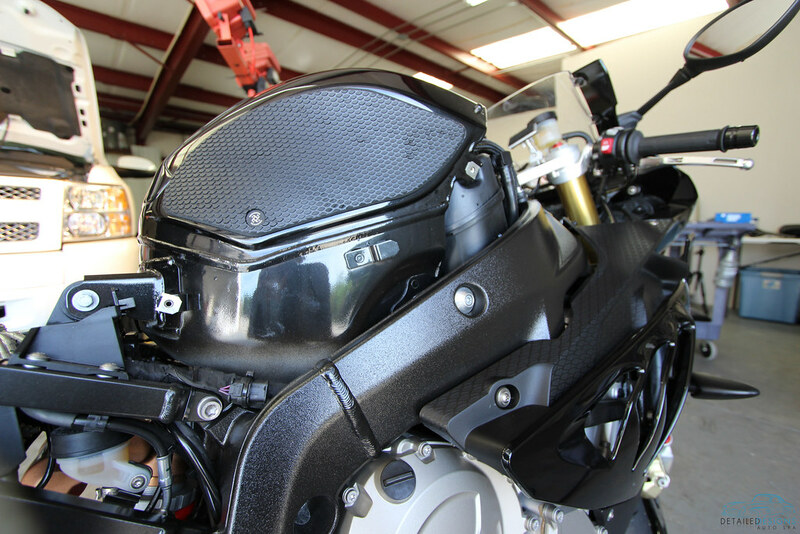 Even a seasoned professional detailer can spend countless hours detailing a motorcycle. 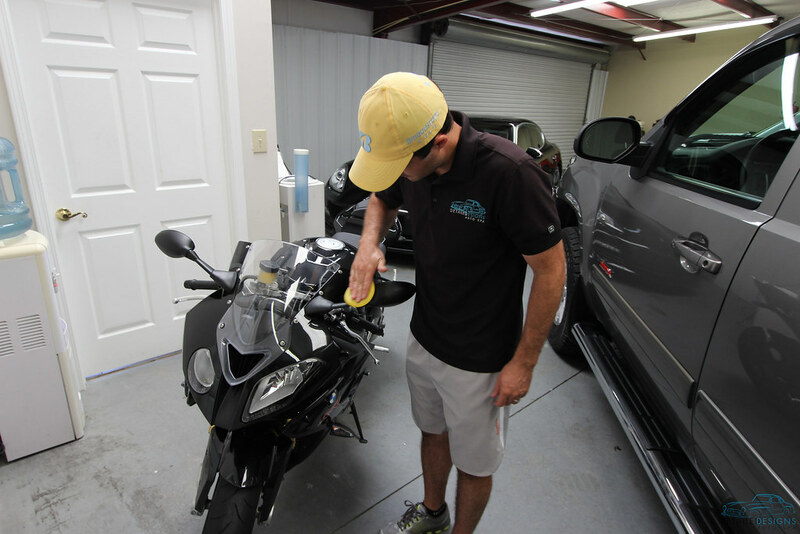 As with all of our detailing projects, our goal is to get fantastic results while using the least intrusive methods available. 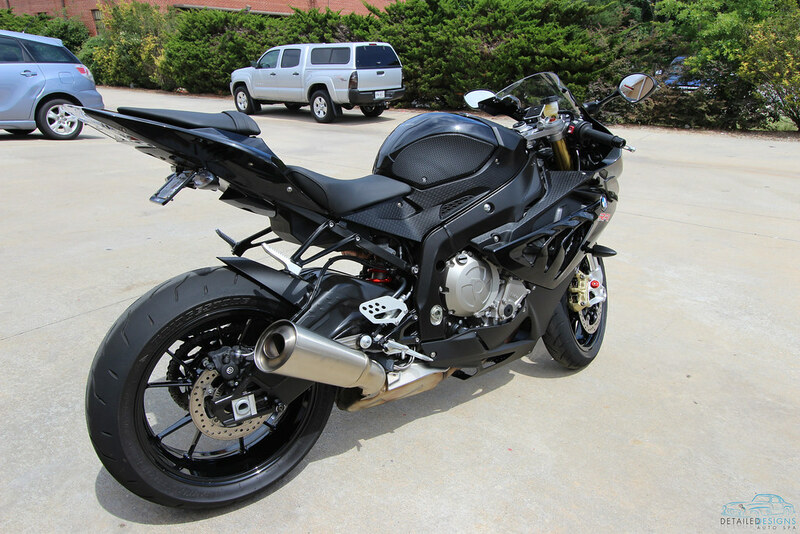 This project was a perfect fit for using our Vapor Systems VX 5000 Steam Cleaner in conjunction with products for cleaning, conditioning and protecting the variety of surfaces found on the BMW. 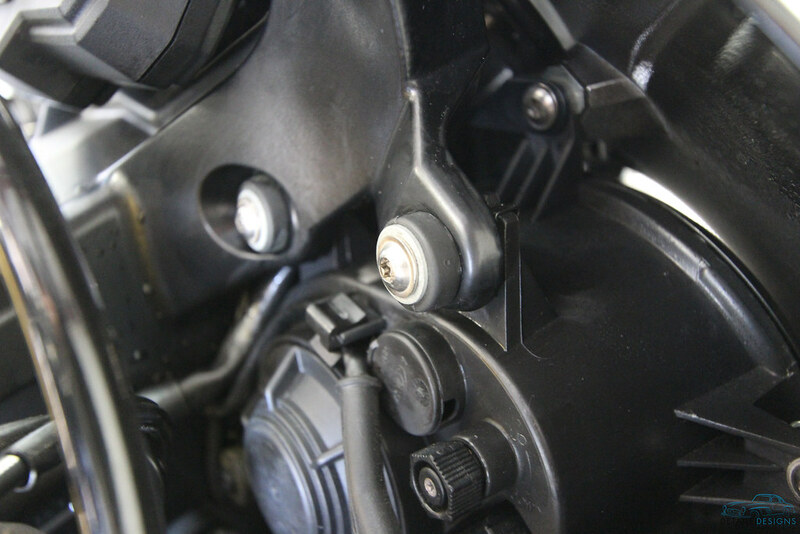 The owner’s bike had multiple spots where double sided tape was used to mount his GoPro camera. 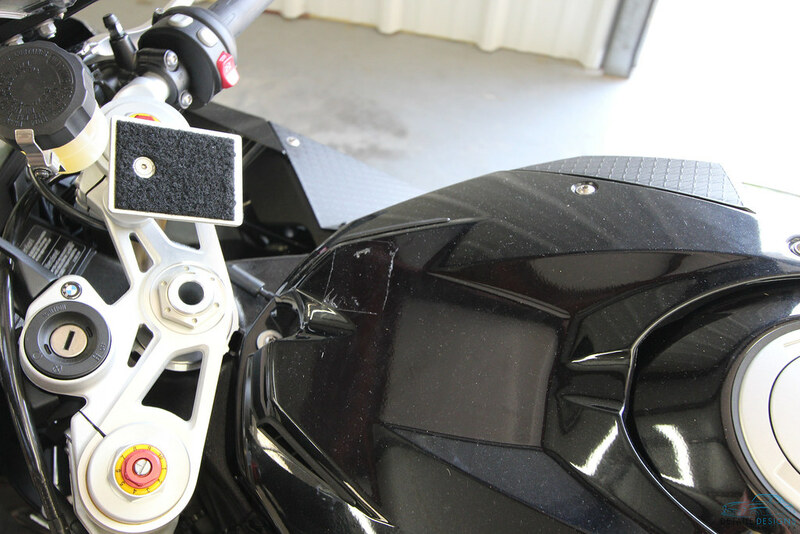 To remove the double sided tape safely, we used 3M Adhesive Remover, Plastic Razor Blades and some microfiber towels. First step was using the Plastic Razor Blade along with some 3M Adhesive Remover. After the majority of the tape was off, the Adhesive Remover on a microfiber towel cleaned up the last fine bits on the part. 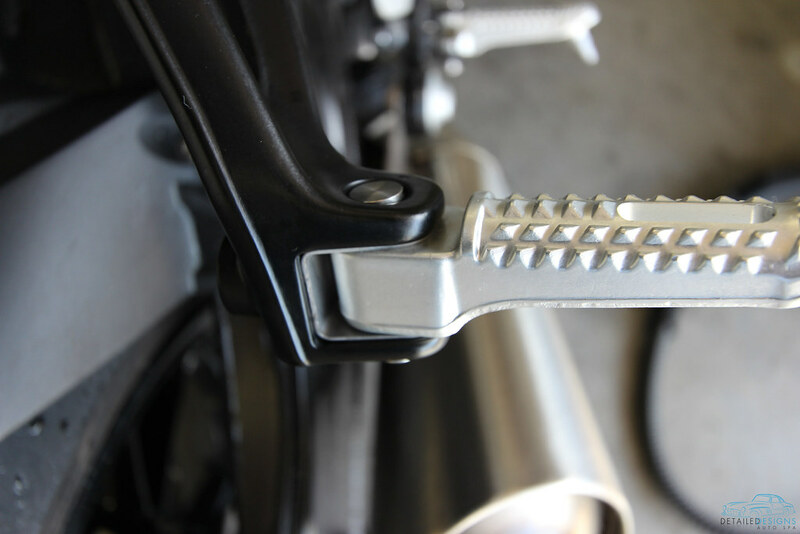 For the metal surfaces, we were able to use our VX5000 and P21S Total Auto Wash to gain access and clean the grime found in tight crevices that are so abundant on motorcycles. Sure, after a thorough cleaning, it looked okay. What we really needed though was better than new! To take it to the next level, we treated all non-painted vinyl surfaces with CarPro DLUX and the glossy painted surfaces with P21S 100% Carnauba. Wheels were waxed with Swissvax Autobahn. All buttoned up, it looked amazing! 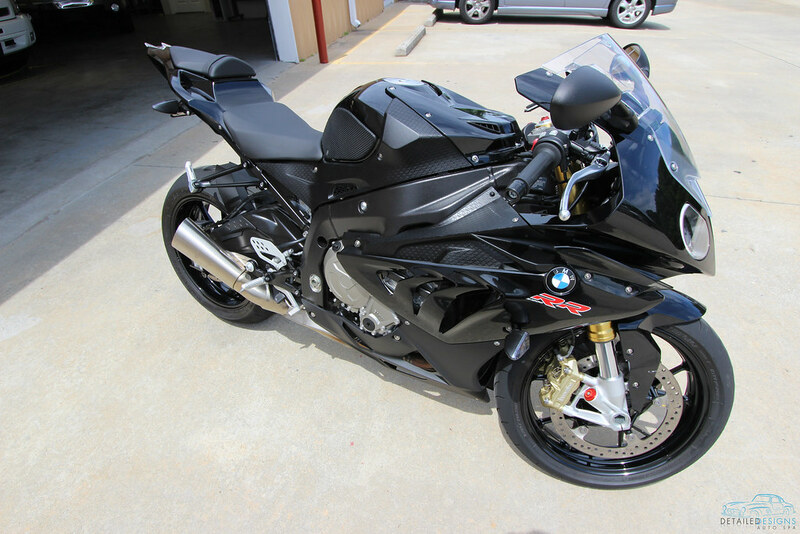 This is our idea of professional motorcycle detailing with an eye for quality and safety. 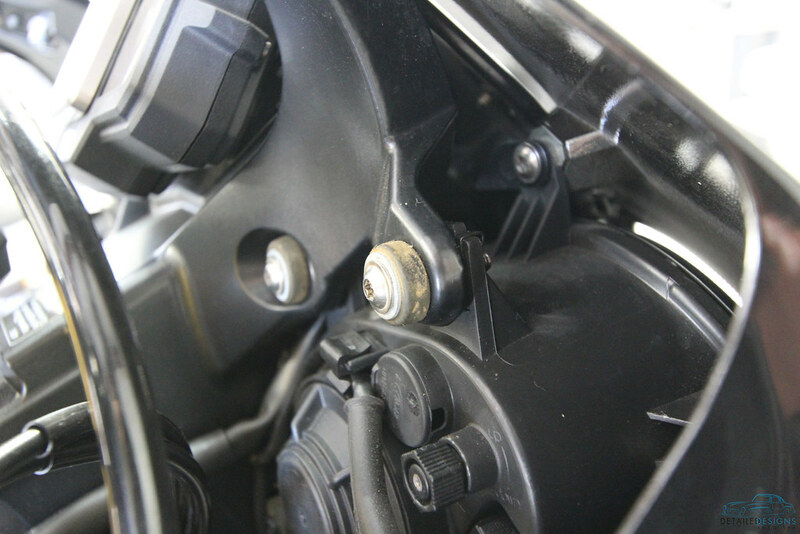 The owner picked it up and knew that his motorcycle was as clean as it was when it was brand new, far better protected and would be easier to maintain moving forward. 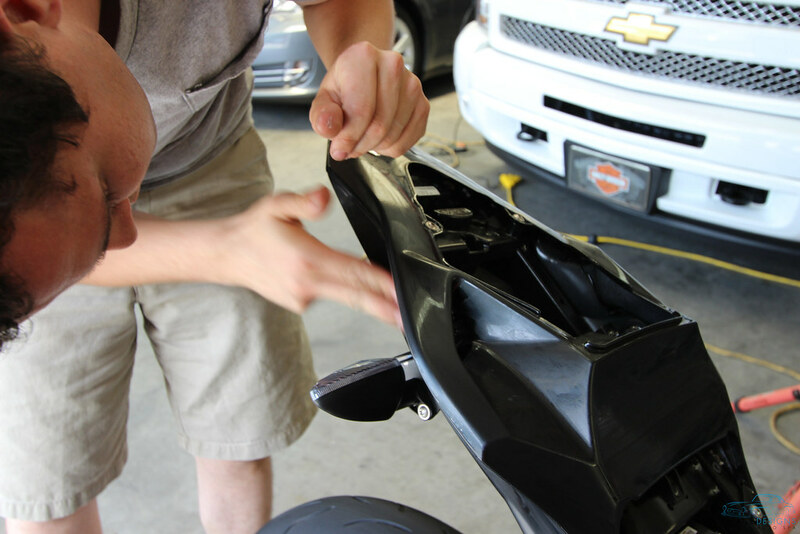 Trim Coating or Trim Restorer – Which do I need?